HomeUK Visa Information BlogIs there a limit on the number of UK Tourist Visas my Thai girlfriend can have? For couples that have been together a long time, a common question is regarding if there is a limit on the number of UK Tourist Visas that a Thai girlfriend can have. Usually, this question is asked by those people who split their time between Thailand and the UK. There are a lot of people who don’t wish to get married for a variety of different reasons so a UK Settlement Visa is not applicable and nor would it be appropriate. So, what is the rule regarding the number of UK Tourist Visas that your Thai girlfriend can have? Well, the simple answer is that there isn’t a written ruling. However, the visa clearing officers at the British Embassy in Bangkok do tend to have a rule of thumb that they try to stick to in order to reduce confusion and also to be as transparent as possible. The fact that here at Thai Visa Express we deal with the British Embassy on a daily basis puts us in good stead for being able to advise our clients. The purpose of a UK Tourist Visa is exactly as the name suggests, to allow your Thai girlfriend to visit the UK to meet friends and family as well as take in some sightseeing. By the very nature of being a tourist, your Thai girlfriend is expected to return to Thailand and it is not intended as a long-term visa. They are certainly not intended for you and your Thai girlfriend to live together permanently and for many, six months is perceived to be a long period – especially as countries such as Australia only issue three month visas. To put this into greater perspective, if your Thai girlfriend does spend six months in the UK it would be reasonable to expect her to spend at least six months in Thailand on her return. 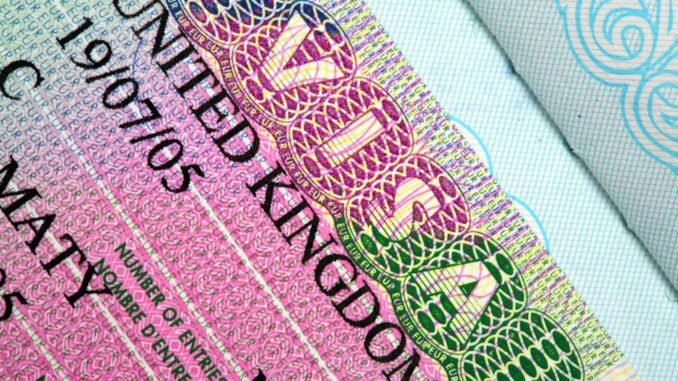 Visa applications made within this six month period are likely to be rejected unless there are extenuating circumstances. So, the rule of thumb can be interpreted as your Thai girlfriend can have one UK Tourist visa each year. If she tends to spend six months in the UK and six months in Thailand on an annual basis and a pattern starts to form, the chances are that she will be granted the visa relatively easily. In fact, a good record of travelling between the two countries will actually work in your favour for future applications. As with most things in life, if you are sensible and don’t flout the rules things tend to run smoothly. The British Embassy in Bangkok has no interest in preventing people from entering the UK out of malice, they simply have rules, criteria and procedures that must be followed to make the system fair for everyone. Regardless of how many times you have applied for UK Tourist Visa in the past, we would always recommend using the services of a professional company. Here at Thai Visa Express, we can have several years’ experience in dealing with such applications. You can call us on: +66 (0)80 102 2328, +66 (0) 38 420 313 or +44 (0) 20 8133 8059, email us on: info@thaivisaexpress.com or alternatively contact us via our website.